Venture Outdoor is Perth’s trusted patios and pergolas installation experts. We’ll work with you to create an alfresco area that will beautifully extend your outdoor living space. We can even identify the best renovations to increase the value of your property. Customers Often Ask: What is a Pergola? While patios and pergolas can appear to be quite similar, there are important differences that may suit your location, budget, and lifestyle better. Timber pergolas tend to require more maintenance than steel pergolas. And further to that, pergolas, in general, require more upkeep than a gable patio or flat patio due to the multiple beam structure. Although, ongoing maintenance is heavily reliant on location conditions and also the type of material used. We are proud to be an authorised Stratco dealer and use quality Australian colorbond steel whenever possible. Most of our clients prefer our patio designs. However, it depends on your particular needs. A typical pergola design is a flat roof with multiple beams that may be covered with vines or a shade cloth, while a modern motorised louvered pergola can combine the openness of a traditional pergola with the added sun and rain protection benefits of a flat roof. With this in mind, our pergolas Perth team will help you decide which structure is perfect for you! Pergolas can also be used as an elegant carport. Our carport installation team can design a protective structure that will also elevate your front yard aesthetics. First impressions count! Overall, outdoor renovations are a wise investment for your home. 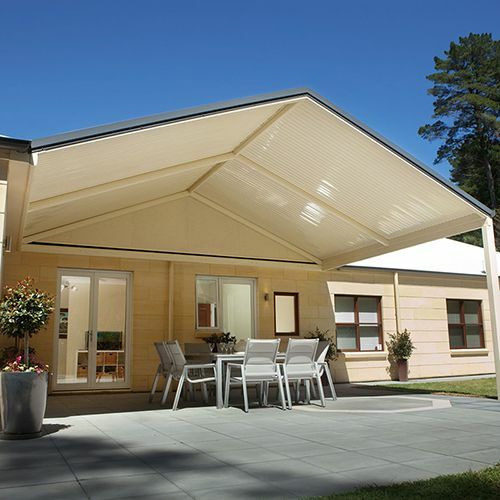 Sunroofs, patios and pergolas will provide shelter from Perth’s harsh sun and winter rain, while outdoor decking can cover unkempt ground or unmanageable lawn. Don’t worry, we’ll take care of it [full info here]. Being fully conversant with council regulations, we can handle all the red tape and paperwork, leaving you time to relax and get ready to enjoy your new outdoor space. At Venture Outdoor, we always go above and beyond to ensure your new renovations looks great and stand the test of time.